We offer a balance of academics, arts and athletics to develop well-rounded students. At Harker's middle school, we believe in balancing academics, athletics and arts for all of our students. With more than 35 clubs plus sports teams and after-school activities offered each semester, your child will find one or more activities that match his or her interests here at Harker. Whether it’s mastering teamwork on the basketball court or time management skills between homework and clubs, our students develop lifelong skills and strategies in our exciting, hands-on and truly enriching programs and extracurricular activities. To ensure that your child has the opportunity to explore a variety of programs and extracurricular activities, clubs have a dedicated period two days a week. Our coaches and program leaders also work together to create a schedule that allows our students to participate in a variety of activities. I’m just so curious watching my kids find their paths, discover who they are and see things in themselves that they didn’t see before. They were one-sided before, and now they are so well-rounded - and they are just starting at Harker! With a wide variety of after-school programs and extracurriculars, your child will discover new interests or develop existing ones. Explore our options below. Our comprehensive sports program includes intramural level and competitive sports. Athletics at Harker helps develop our students’ academic and physical strengths and skills. We emphasize player skills, training techniques, sportsmanship, leadership, respect and teamwork in all of our athletic programs. We teach character development skills as a part of the regular curriculum, engaging our students to develop essential character traits including kindness, respect and integrity. Our service learning opportunities develop their awareness of civic responsibility, creating strong leaders and passionate citizens. Our global education program connects students and teachers with their peers from sister schools around the world. We offer a comprehensive after-school program for our students as a part of our BEST (Blackford Enrichment and Supervision Team) program. With activities available until 6 p.m. every day, our students can use their after-school time to enjoy activities that spark their interests. 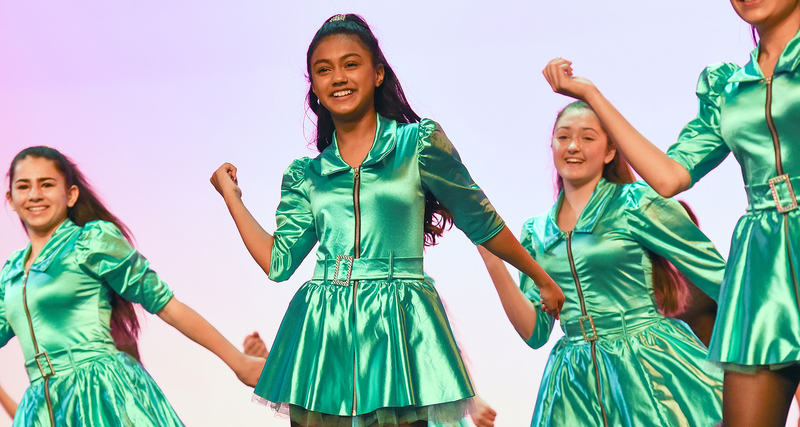 With opportunities to explore dance, drama, vocal and instrumental music and musical theater, our students develop creativity and confidence in our comprehensive arts education program. We believe that public speaking and argumentation are key skills to learn at the middle school level. Students interested in speech and debate have opportunities to enhance these skills with individual speaking events, congressional debate, policy, public forum and Lincoln-Douglas debate. We motivate students to embrace STEM with exciting, hands-on learning inside and outside of the classroom. With an abundance of student clubs and after-school activities and classes related to STEM topics, we offer opportunities for students to explore these exciting fields. Our students learn information literacy and library skills early on in their educational journey here at Harker. With weekly classes focused on developing these skills, middle school students build a solid foundation as young student researchers. Along with our performing arts program, our visual arts program offers opportunities for students to develop their creative expression. Our visual arts curriculum includes Art I & II, ceramics, sculpture and more. Discovery X is an annual, opt-in program for middle school students that allows them to pick a subject they're passionate about, find a mentor and dig deep into a project. Mentors are Harker and non-Harker experts who guide the students in their discoveries. Past projects have included building a bicycle, horse photography, developing a board game and podcasting. View the academic courses we offer on our Middle School Academics page.